The Death of an Arduino & Relay from Lexie Stoia on Vimeo. 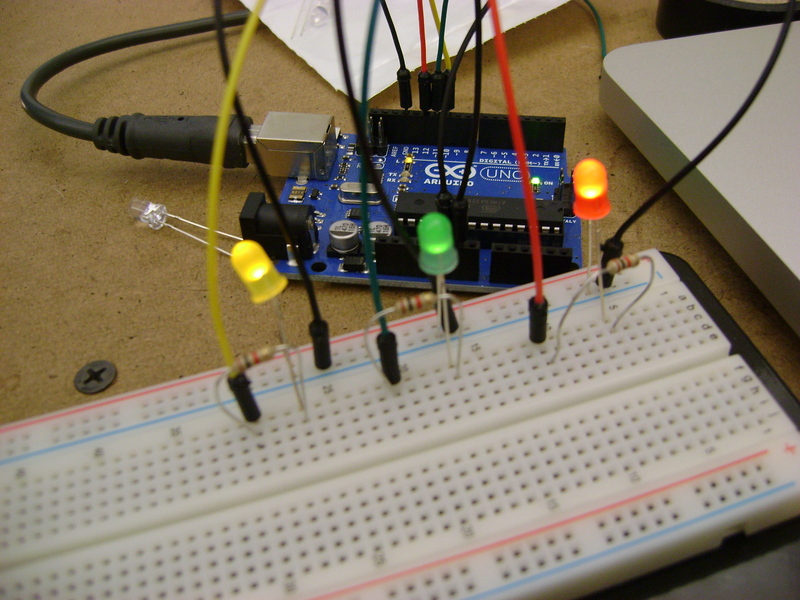 It doesn’t take much effort to make some LEDs blink with an arduino microprocessor. I think they teach kindergarteners how to do this now. I recommend the book Getting Started with Arduino by Massimo Banzi, instructables, and Hack n Mod. Microcenter, Sparkfun, and Adafruit are all good sources for supplies. I will be using arduino to control the pulsating lights & humming sound for The Magic Mountain. A couple infrared sensors will be respond to motion. If the viewer gets too close to The Magic Mountain it will begin to malfunction; even closer and the whole thing shuts off completely. Here’s a low-quality video I made using arduino uno, an IR emitter and detector and these easy instructions. Intercepting the IR detection triggers the LED to switch. Arduino IR Emitter & Detector from Lexie Stoia on Vimeo.